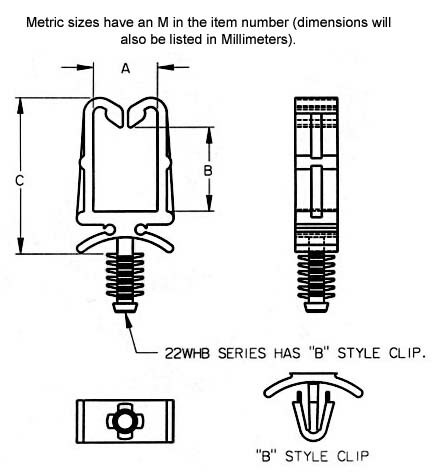 E & T Fasteners' Wire/Cable Holders are designed to mount into 3/16 or 5mm hole diameters. Wire/Cable Holders can be used in a variety of panel thicknesses and materials. Sizes are available to handle wire bundle diameters from .375" to .500".